Buying Into A Franchise – Is There An Alternative To The High Cost Of Franchising? Mark Ford here, home business coach and today I would like to talk about franchising and whether there is an alternative to buying into a franchise?. Franchising as a business model has been around for decades and has proven to be very successful for millions of people all around the world. So let’s define just what franchising is. Franchising is when a business owner, the franchisor, who has a product or service gives independent people, who become the franchisee, the rights to market and sell their products under the company brand name in a particular territory. Franchising is particularly popular with people who are looking to start their own business. This is because they have the backing of the company who they are looking to buy into a franchise from. When you buy a franchise you are basically buying into the reputation, trust, loyalty, goodwill and product line, that the company has built up over a sustained period of time. Also you benefit from the training and marketing help that the franchisor offers within the start up package that you receive. Another benefit is that you get allocated a certain area, or territory, that you can trade within. This is so that you are not competing with other franchisee’s from the same company. This does not mean though that you have total exclusivity on the type of product or service that you are promoting. Independent traders within the same industry will be present within your territory so you have to be made aware of this fact. So on paper it looks a very good option for people to start a business of their own. The trouble is that it can be very expensive when buying into a franchise. If you think about it for just a moment, no one who has built up brand awareness for their company are just going to allow you to leverage it for peanuts! Would you? When buying into a franchise you are looking at around $10,000 as a minimum for a really good one. Then at the top end of the scale you could be looking at the $1 Million mark. It does not stop there though. You will need to have the tools of the trade, premises, staff and all the overheads that a traditional business comes with. After all a typical franchise would be classed as a traditional bricks and mortar business. So as an example. If you bought a carpet cleaning business you would have to clean hundreds, maybe thousands, of carpets to start to see a return on your investment. As a side note you would have to put thousands of back breaking, literally, work into it as well. You buy into a recognized brand. You leverage the tried and tested product line. You get the business and marketing training you need. You are assigned a territory to trade in to protect you from other franchisees but not independent traders. You have very high overheads. It can be very expensive to start and will take a long time to see a decent return on your investment. 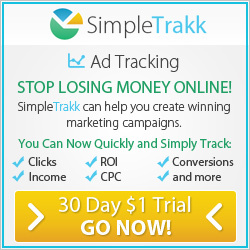 Now you landed on this webpage because you were looking for information into buying into a franchise. I have given you a brief overview of what franchising is and you maybe thinking that it is not quite a rosy picture as you first thought. Apologies for that but you need to know the facts. I am not saying to dismiss the idea of franchising, What I can do though is offer you an alternative. In the bullets points above you can see the basic details of what franchising is. So with that in mind would you be interested in a digital franchise type of business? Would it make you even more interested if I told you that you could start today for free to road test the business and after 30 days you could have you own digital marketing business for under $300? This business model has a lot of the features of the franchise business model. 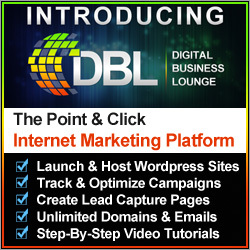 You can leverage a proven line of products and services to promote. 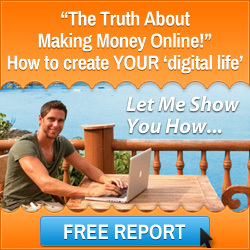 You will get all the training and resources you need to run a profitable online business from scratch. You have the brand awareness to leverage but crucially you will have a business model with very little overheads. 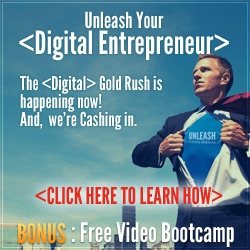 You just need a laptop, computer, tablet or smartphone plus an internet connection and you are in business. There are no need to have staff or premises and you are not restricted by trading in a particular territory. You have a worldwide audience to attract. Please click on the following image to find out more information regarding the Six Figure Mentors and how they can help you with starting a profitable online business today. Buying into a franchise is very serious decision and one that you should not take lightly. I hope that I have given some things to think about and, if you would like any further information on the Six Figure Mentors then please contact me here. This entry was posted in Start Home Business and tagged buying into a franchise, franchising, mark ford. Bookmark the permalink.